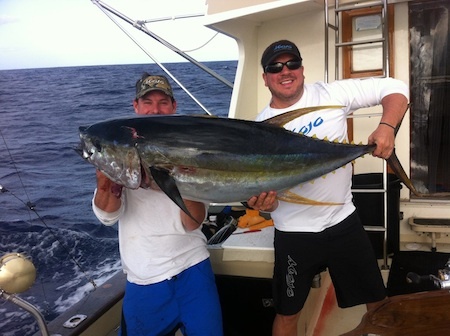 Frank and his 110 lb Ahi! 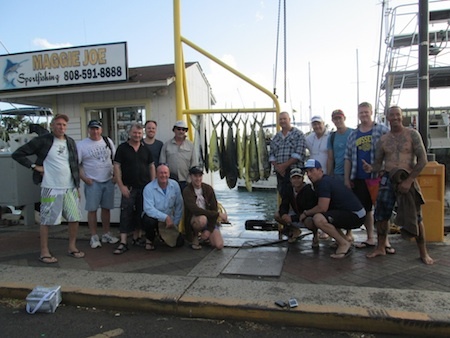 Mahalo to Frank for choosing Maggie Joe Sport Fishing! 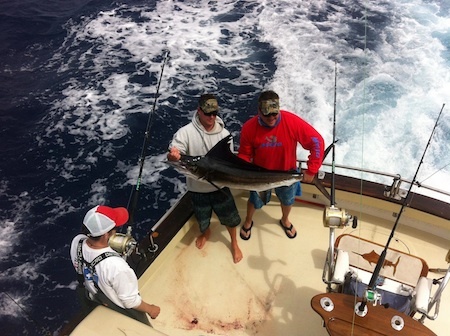 Frank joined Captain Matt aboard the Ruckus on a sport fishing charter. 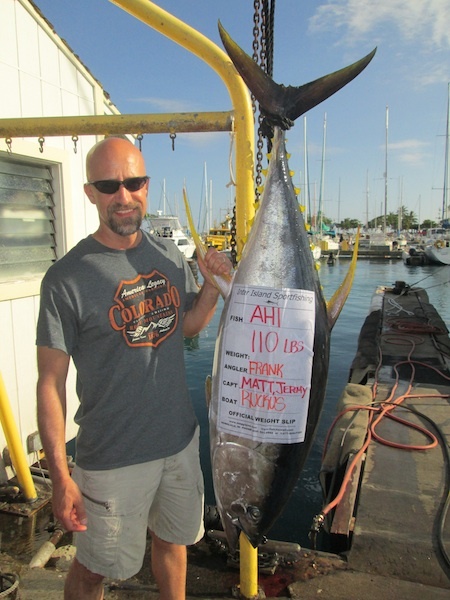 All Frank needed was one strike as he brought in this nice 110 lb Ahi while deep sea fishing off Honolulu, Hawaii! Aloha! 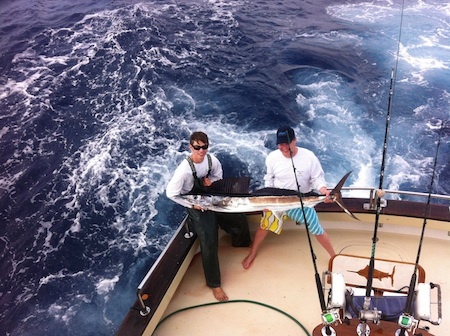 Stephan and Lindsey with their Blue Marlin! 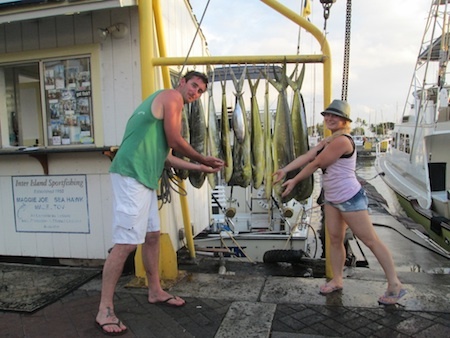 Mahalo to Stephan and Lindsey for choosing Maggie Joe Sport Fishing! 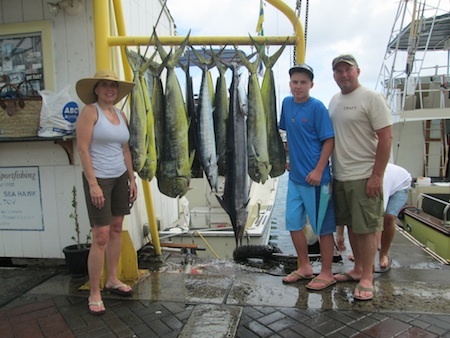 The couple chose to join Maggie Joe on a sport fishing charter while on their honey moon! 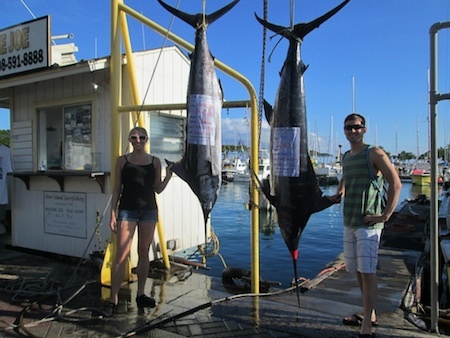 They hauled in 240 and 140 lb Blue Marlin while deep sea fishing off Honolulu, Oahu! 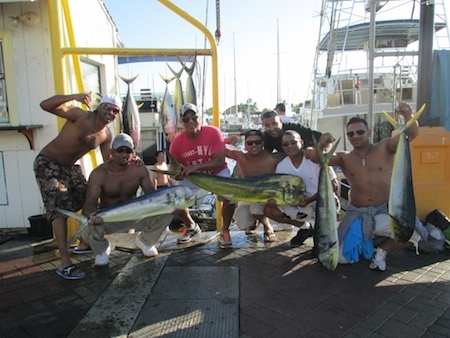 Mahalo and Congratulations! 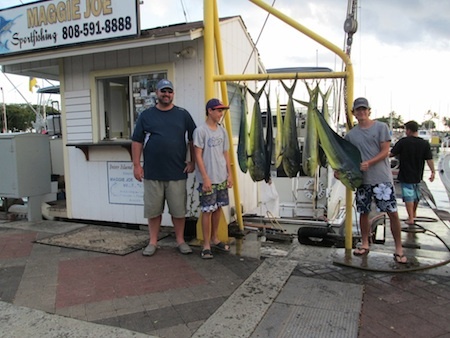 Aubrey, Mark and Kaleb with their catch! 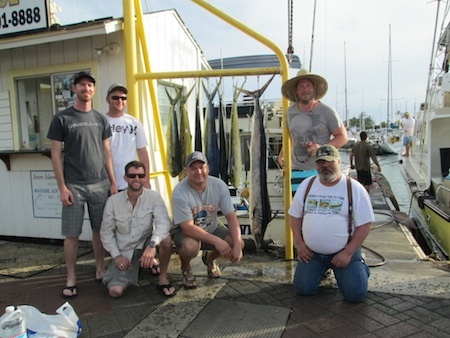 Mahalo to Aubrey, Mark and Kaleb for choosing Maggie Joe Sport Fishing! 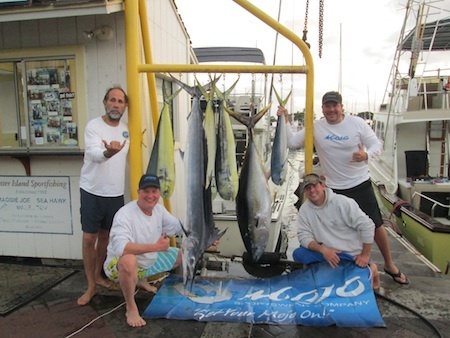 The father-sons trio joined Captain Mike aboard the Maggie Joe on full day sport fishing charter. 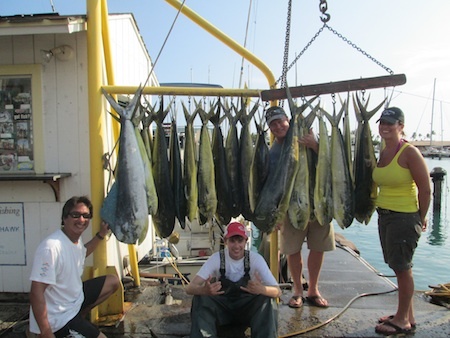 It was a fun day out on the water as the guys hauled in 8 Mahi Mahi while deep sea fishing off Waikiki, Oahu! Aloha!